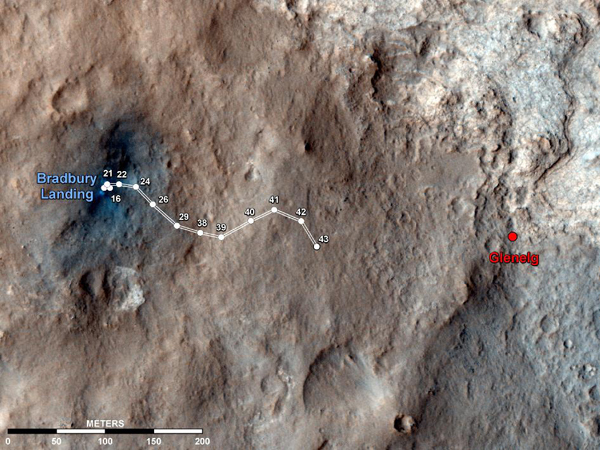 The Curiosity rover has traveled about 950 feet from its landing site and is about 650 feet from its near-term target, an area known as Glenelg where three different terrains come together. 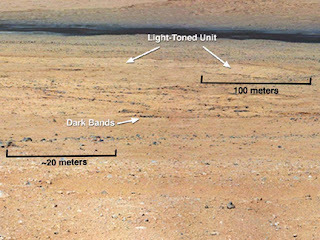 Looking toward the Glenelg site, where Curiosity will pause to carry out extensive geological observations, scientists have identified a lighter area, also visible from orbit, that may be part of an alluvial fan where water once flowed. 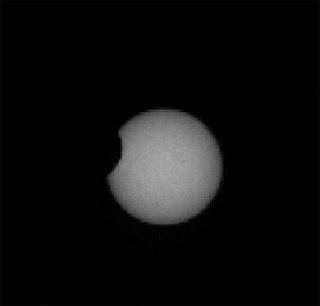 Cameras on the Curiosity rover photographed the martian moon Phobos as it recently passed in front of the sun. 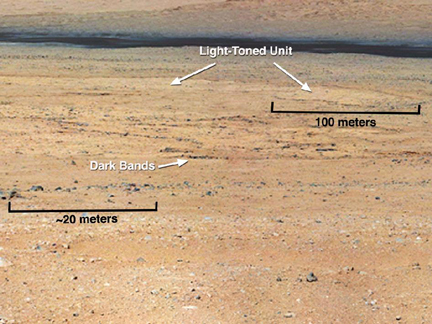 Precise measurements of the timing provide insights into the internal structures of both Mars and Phobos. 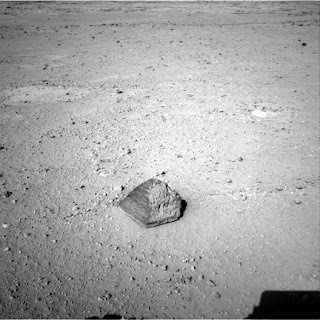 A rock dubbed "Jake," named after a Mars program engineer who died shortly after Curiosity's landing in Gale Crater, will serve as the rover's first target for a robot arm-mounted camera and chemical analyzer.